Cunning questions ranging from Eskimo Rolls to Father Ted. 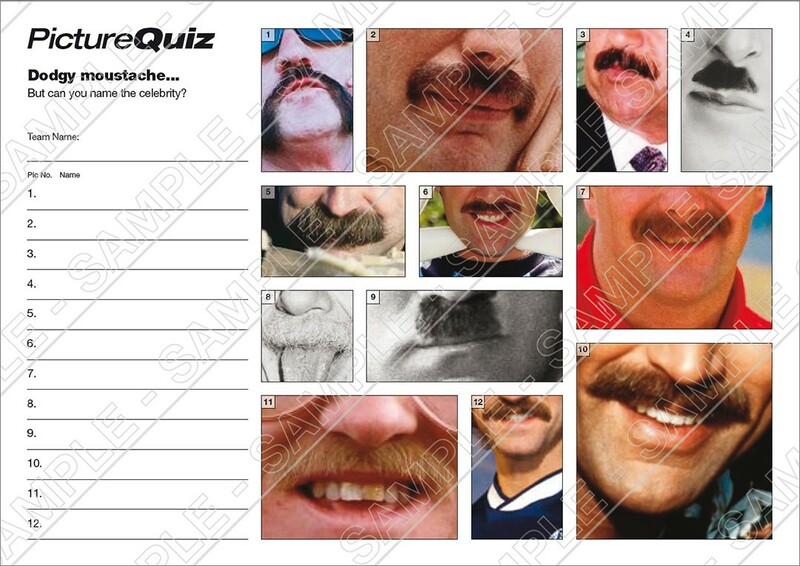 The Picture Round is some well Dodgy Moustaches and the Wild Card is on Magnum PI actor Tom Selleck. Q04. What happens to a Screwdriver if you add Galliano? Q14. Which musical opens with the song Food Glorious Food? Q28. Who did baseball legend Joltin’ Joe DiMaggio marry in January, 1954? Q38. In which 2013 film did Amy Adams play the partner in crime and love interest of Christian Bale? Quiz 016s Picture Round is name the famous owners of these dodgy moustaches! The Wild Card for Quiz 016 is all about the one of the owners of those dodgy moustaches, Magnum PI.